Features a girl cow dressed in a blue and white dress holding flowers. She is also holding a tissue to her eye from the excitement of the wedding. This figurine is dated 1995. Become the proud owner of an adora-bull new friend from Double M Ranch! 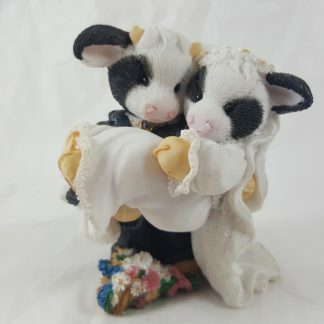 Enesco Mary’s Moo Moos Milkmaid Of Honor Maid Of Honor Figurine. 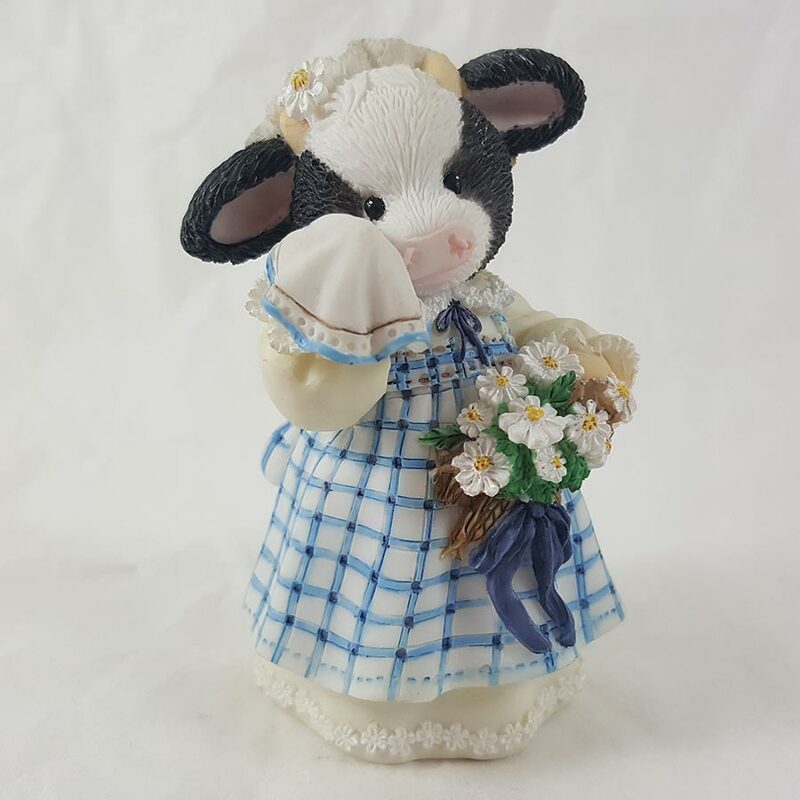 Features a girl cow dressed in a blue and white dress holding flowers. She is also holding a tissue to her eye from the excitement of the wedding. This figurine is dated 1995. Become the proud owner of an adora-bull new friend from Double M Ranch! You will notice that it marked with the exclusive MM. This assures you that you have received an original Mary’s Moo Moos! Measures about 3.25 inches tall! All hand crafted and hand painted. Beautiful collector piece for wedding gifts or cake toppers. 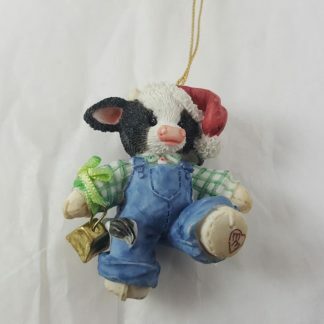 Also for people who collect cow figurines. Stop by and get yours today!